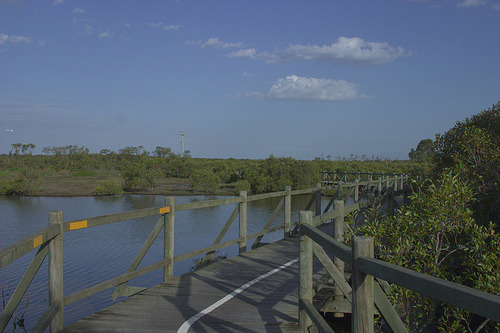 Landscape architects and engineers who are interested in building boardwalks over wetlands often have several concerns: the environmental impact of the boardwalk construction process, the appearance of the finished product and the long-term impact of the boardwalk material to the surrounding wetlands. It’s vital to consider which materials to use in building boardwalks over wetlands and what sort of impression they will leave on the ecosystem. But what factors are most important for wetland-specific boardwalk construction? Wetlands contribute to unique ecosystems that require special considerations. 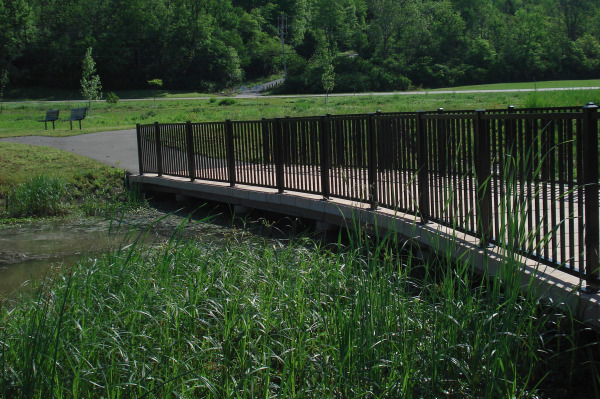 The ultimate goal of a wetland boardwalk is to provide access into or through the wetland by vehicles, pedestrians, or other recreational activities in a manner that will not degrade the ecosystem. 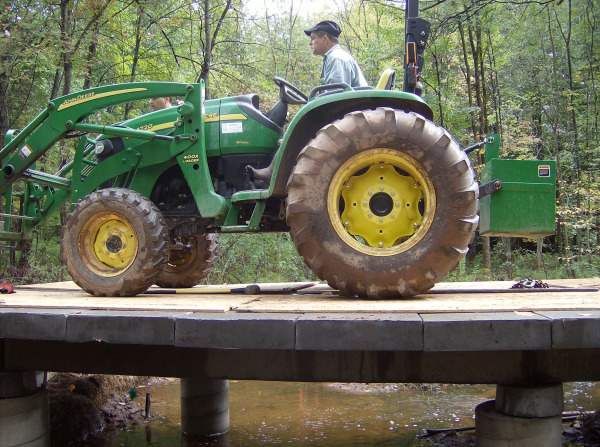 A top down construction method significantly alleviates a boardwalk’s installation impact to the wetland area – no matter the boardwalk material. The installer’s equipment drives out onto the boardwalk incrementally, driving piles and moving the boardwalk materials in place. It’s important to note that the foundation installation process, not the boardwalk material itself, mostly determines the equipment used in top down construction. As we’ve designed our PermaTrak system for top down construction in the past, you can see pictures and read more about top down construction with a concrete boardwalk here. 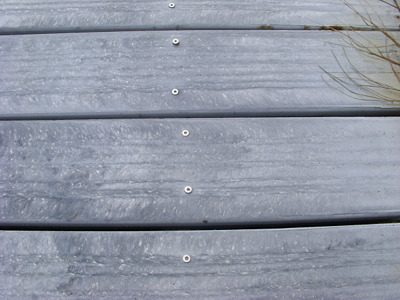 The sections below describe the ways in which timber or composite decking materials influence the boardwalk design and construction process when the project calls for top down construction. Since it’s essential to leave the wetland as undisturbed as possible, which building materials are most eco-friendly and best utilized for wetland boardwalks? Wood is often considered desirable as a building material because it’s a natural product. But probably the biggest two benefits to using pressure-treated timber decking for a wetland boardwalk are the low cost and widespread availability of the material itself. General contractors can easily access pressure-treated decking through their suppliers and the vast majority of contractors tasked with building a timber boardwalk have already done so; wood is a common building material and the learning curve for boardwalk contractors is virtually non-existent. Timber boardwalks can be constructed with a top-down construction method. Specialty contractors are well equipped to design and install timber boardwalks using this kind of construction method. In addition, special boardwalk applications in remote areas may require the boardwalk components to be hand carried into the project site. While this may require more individual laborers to move and transfer the material to the section being built, it can be done easily with timber planks, as the components are relatively light. However, pressure-treated timber’s bending and shear capacity is much lower than concrete and would require many more stringers (runners) and possibly shorter longitudinal spans between piles to support the same load. In most cases, this results in more material, longer installation times and higher installation costs overall. The major drawbacks to using timber materials in a wetland environment occur over time. While attractive upon install, timber for commercial boardwalks must be pressure-treated to minimize decay and warping, while maximizing its longevity. This involves chemicals that will eventually leach out of the material, concerning for potential damage to the ecosystem of a wetland area. Wetlands are predictably moist, which can also spell trouble for timber. Even with treatment, there’s danger of swelling and rotting. Pressure-treated timber is also at risk for attracting the growth of algae and moss (which can be slippery and hazardous for pedestrians and runners), and this is particularly true in wetlands. Removing growth takes considerable time if done without chemicals, upping maintenance costs. Composites, which are most often a combination of plastic and wood fibers, are often presented as an ecologically-friendly alternative to timber. 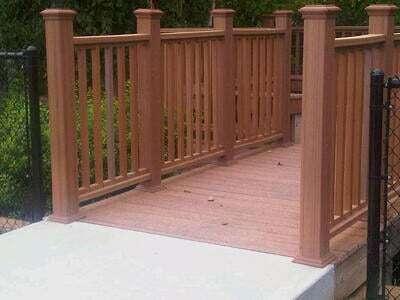 They are extremely popular for outdoor residential decking. Perhaps the biggest benefit to using composite decking instead of pressure-treated wood on a wetland boardwalk is the fact that most composite decking products are biologically inert; this alleviates concerns of toxins or chemicals leaching into the soils over time. Composite decking is similar to wood in the sense that it can be cut and modified in the field as the boardwalk is being built; contractors who have built timber boardwalks will be comfortable with the material. One of the biggest drawbacks to using a composite decking material for wetland boardwalks is the fact that the boardwalk is less likely to be built via the top down approach we discussed earlier. Most composite decking products are manufactured for residential uses and simply not designed for heavy vehicle loading, whether that is a piece of construction equipment used during installation or a 10,000 lb. truck used by the Parks & Rec maintenance staff years later. In rare cases, boardwalk contractors have shared a more creative way to build a wetland boardwalk with composite decking. The boardwalk is built first with timber planks before the decking is removed as sacrificial material and replaced with composite decking. This, in turn, increases the cost of materials, the time it takes to complete the boardwalk construction, and the cost of the installation overall. These factors often combine to eliminate composite decking from the conversation when designing a wetland boardwalk that must be built via top down construction. A large drawback to using composite decking on a wetland boardwalk is the fact that most composite decking products become vulnerable to mold and algae, especially under heavy shade. Even with its plastic binders, most composite decking boardwalk materials still contain wood flour or sawdust as a filler material that absorbs moisture once the outer “protective shell” of the plank is penetrated. Most composite decking products are not considered a “closed-cell material,” as moisture penetration is likely to happen via the deck fasteners where screws or nails are used to tie into supporting beams and joists. In addition, plastic decking is oil-based and thus, slippery – especially when combined with water. Finally, composite decking products are non-renewable, non-biodegradable and can be more expensive than timber. 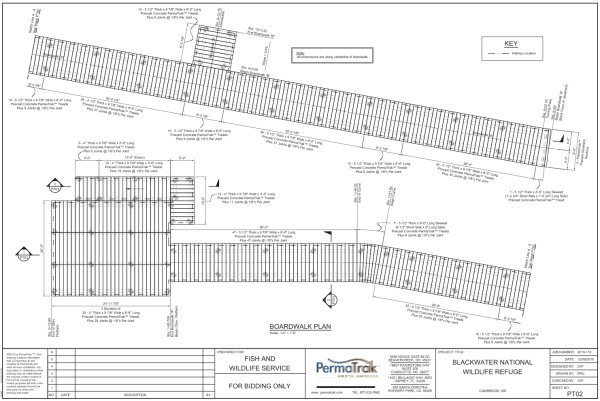 PermaTrak’s boardwalk system utilizes reinforced, precast concrete for wetland boardwalks. Depending on the boardwalk application, a concrete boardwalk system may or may not be the best boardwalk product for the site. If the boardwalk material must be hand carried to the boardwalk site, then PermaTrak is probably not a good fit. The lightest concrete components weigh ~130 lbs. each and typically require light lifting equipment. Also, boardwalks constructed through a wetlands area may require “open design” in the field, where the material must be cut and modified to adjust for obstructions or unforeseen curves. 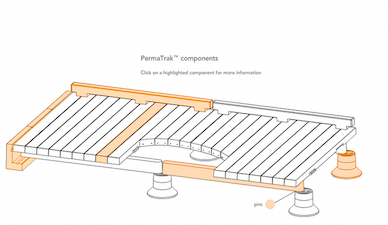 PermaTrak’s concrete system is not designed for a lot of saw-cutting and field adjustments to the components themselves. Most often, a designer will work with our engineering team on a pre-defined alignment through the wetland area and this may not be the case for your project. 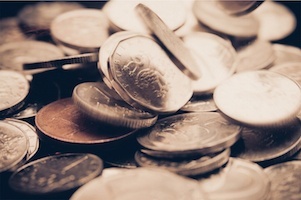 Depending on the project requirements, concrete will most likely be more expensive than timber. To calculate a concrete boardwalk budget estimate, see our article on boardwalk construction estimates. If your project requires top down construction to minimize impacts to the wetland area, our engineering team can assist with a structural analysis that defines the construction live load. It is well known that concrete is a much more durable and stronger material than timber or composite decking. This allows designers and contractors more flexibility in defining a construction vehicle for installation purposes, which only helps save money when a contractor can use inventory or their standard equipment. A precast concrete boardwalk system is adaptable in the sense that the individual components are produced specifically for your project; this design flexibility allows for approved construction equipment to drive over the top of the boardwalk during installation. As outlined earlier, this method diminishes the harm to the ecosystem by not driving equipment or moving materials through the wetland for construction. Lastly, precast concrete doesn’t contain chemical properties that would promote algae growth, which increases the durability and slip resistance of the boardwalk in a wetland environment. Speaking long-term, the concrete material itself has an enormous advantage: No chemical sealants or stains are required to protect the surface from heavy use by pedestrians or cyclists, which leaves the wetland environment undisturbed for decades to come. How concrete can be an ecologically-friendly alternative to timber and composites.